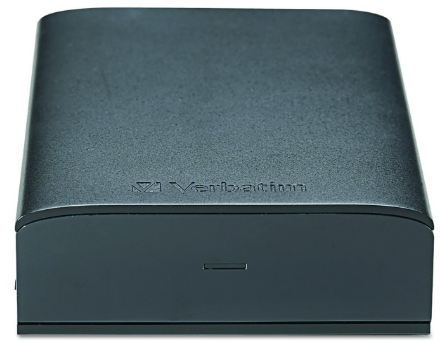 External Hard disk drives are useful to store the data outside of your computer or laptop. Possible reasons to store data in External hard disk drives are to have a backup of your data or due to the scarcity of storage on your computer; we see it as an option to carry more things along. For me, I use external HDD because I am running out of space on my 500 GB hard disk because I am a movie lover, and I have heavy data because of movie files. I have downloaded more than 500 tutorial videos as well which all collectively need more spaces. Thus, I got a 1 TB External Hard Disk Drive for me. External Hard disk drives come handy when we need to carry our data along without loading our backpack with bulky laptops. Gone are the days, when we used to have 1 GB or 2 GB variants of the pen drives, and that have served our purpose pretty well. But now we have super high pixel media and much more valuable stuff to take care of hence mere 2 GB or 4 GB of storage are not enough. The hard disk drives we see nowadays come in the capacity ranges of TeraBytes (1 TB is equivalent to 1024 GB). 1 How do external hard drives work? 6.10.1 1. How to format an external hard drive on Windows? 6.10.2 2. How to partition an external hard drive on Windows? 6.10.3 3. What is the best External HDD? 6.10.4 4. How to Make an External Hard Drive Bootable? Someone may suggest you the fancy features of cloud storage and other online drives, but that costs you subscription per month as well as difficult to access in offline mode. Also, I find difficult to upload heavy data on the cloud at times. So External Hard Disk Drives suit well irrespective of the operating system you are concerned with. How do external hard drives work? If you haven’t used external HDDs yet, you might be curious to know, how do external hard drives work? I will explain it here. External hard disk drives can be plugged into your computer or laptop via USB port and support data transfer at the fastest speed possible. You can store your documents, photos, songs, videos, and software, etc. onto the external HDD. This will give you additional storage space apart from your laptop’s hard disk drive space. If you find something less useful, you can delete the same and clean the space for storing some other stuff. Depending upon your configuration you can find an external hard drive for Windows and Mac as well. We say External HDD Portable because you can easily carry it along wherever you go. Indian market is flooded with external hard disk drives because of the large user base using computer and laptops. Because of so many hard disk drive manufacturers available in the Indian market itself, the choice becomes little tough to find out which is the best portable external hard drive in India. 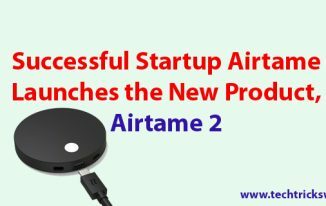 In this post, I will be sharing few options on certain quality parameters and will let you know the best portable external hard drive available in India. Our list begins with the top performer Samsung, which is supposed to be the biggest electronics manufacturer. 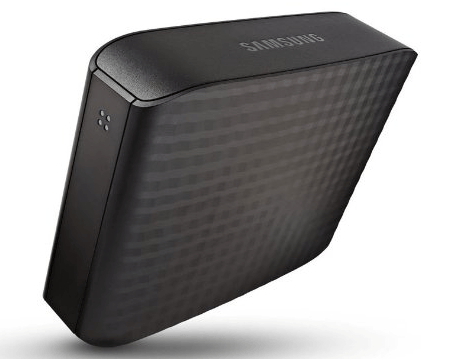 Samsung D3 Station external hard drive comes in the variants of 2 TB, 4 TB, and 6 TB. With the build in the software, you can customize the storage settings regarding which particular type of files to store and you can even schedule the backup for a later time, leaving you less worried about performing the backup yourself. Seagate is the prime hard drive manufacturer which makes it stand ahead of the competitors. Seagate expansion gives you more storage for the ever growing data size. Easy to use drag and drop interface makes it more suitable to use. Seagate expansion is available in 1 TB, 2 TB, and 4 TB variants. It gives the fastest data transfer with USB 3.0 technology and it can be a great companion for your XBOX One. Western Digital is the renowned name in the hard drives. Because of the fact, it has earned maximum customer satisfaction awards in the industry. Well, the packed design will amaze you with the performance and data storage capacity. 2 TB variant will come up with USB 3.0 interface and within few seconds can fill up it with more than 5,00,000 songs and 4,00,000 photos. Toshiba is world famous for the quality manufacturing of laptops and TVs. Now in the case of hard drives, it is one of the largest manufacturers of hard drives. 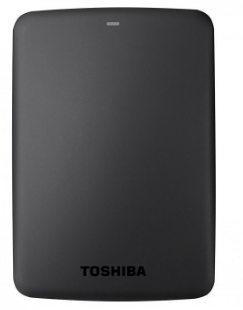 Toshiba Canvio series comes in the storage range of 1 TB to 5 TB. The package sits well both ways i.e. horizontally and vertically. Prefer to make it stand vertically for more storage and maintaining temperature. Buffalo drive station axis velocity is a great example of a design which gives you extended storage along with security towards data. 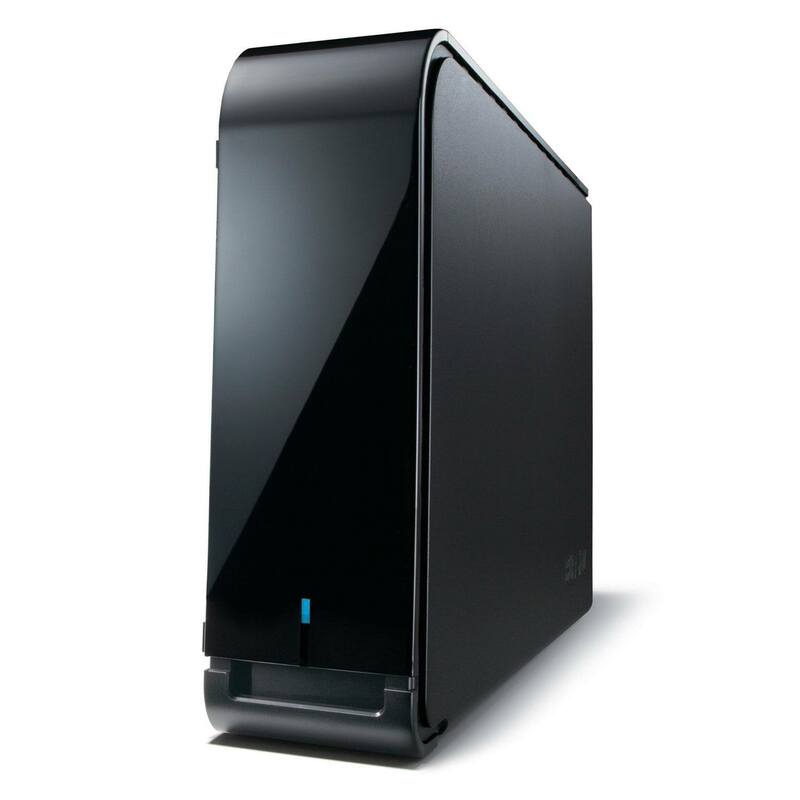 Personal cloud storage through web access is the great advantage with Buffalo drive station. Only one-time configuration settings and firewall enable to access the files over the internet. Due to lack of power button, the hard drive keeps running even if your computer is in sleep mode. 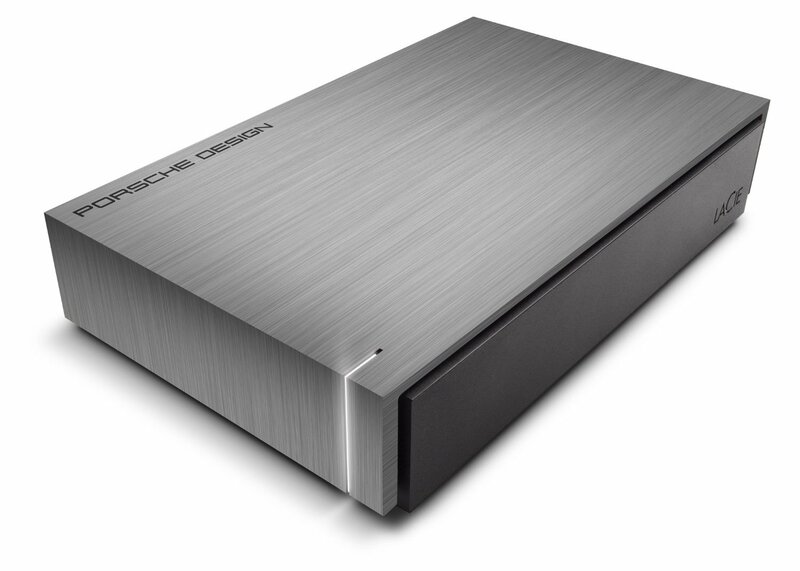 LaCie’s collaboration with Porsche has come up with the great looking 3 TB hard drive for external usage. As compared to other options we have explored so far; this one has the sleep mode option which is must towards the long live running of the hard drive. Drive lets you set the password and using the 256-bit AES encryption; your data is pretty much secured. What makes Verbatim the most user-friendly is its extended warranty as compared to the competitors in the market. No one gives 7 years warranty on hard drives but Verbatim Store n Save does. The drive comes up with ventilation blocks to keep the drive cool on the course of the long run. Please avoid blocking the ventilation blocks when you place it during the usage. Most energy efficient version you will see in the market, with the inbuilt customization feature of making the drive sleep if it remains idle for said number of minutes. Here is another one from the Western Digital, the leading hard drive manufacturer in the industry. My passport comes up with all next generation backup and security features. The popularity towards WD is globally known and which makes them deliver the best product to their users. My passport is the result of 7 years of extensive research and performance improvement. Seagate provides the sleekest hard drives, and Backup Plus Slim is prominent in popularity. With Backup Plus you get additional 200 GB of cloud storage and feature to have a backup of your mobile device as well. With plug and plug over USB 3.0 makes it suitable for faster data storage and retrieval. Sony has the superior image in laptops which has made it a better option for hard drives as well. Sony hard drives are NTFS formatted and suitable for Windows. However, you can format it to exFAT to make it usable on Mac as well. The above list is a mixed list of 1TB and 2TB external hard disk drives, now check out the list of these categorised with their storage capacity. Due to increased usage of computers and smartphones, the need for storage space has increased too. Many smartphones and computer systems have enough internal storage available but to store GBs of data like HD movies, videos, soundtracks, games, software, etc. that internal memory seems not enough. In that situation, external hard disk drives come into use. External Hard Disk Drive is a great option to backup your data and to carry more items along due to lack of storage on your PC. Gone are the days when we used to carry along 4GB or 8GB of pen drives to store our files. These days, even internal hard drives come with the capacity of 500 GB or 1TB (1TB = 1024GB). Cloud storage is another option to store large data online. But it costs monthly subscription and storing heavy data on the cloud is not easy as uploading takes a lot of time, and also when you need those data, you have to download which again takes so much of time and your internet bandwidth. Overall, the cost gets increased when you use cloud storage. So, it is better to own an external hard disk drive of 2TB to store heavy data and carry it along. 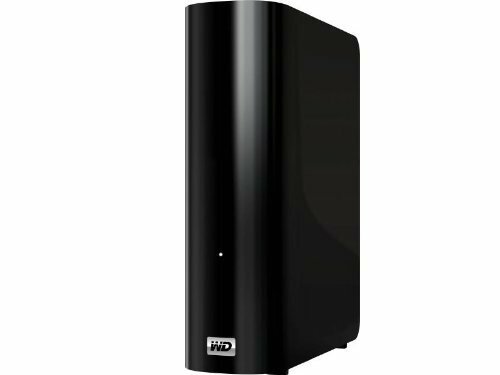 Western Digital (WD) is one of the most prominent names in hard drive market. It is known to offer the top quality external hard drives to delight the customers always. 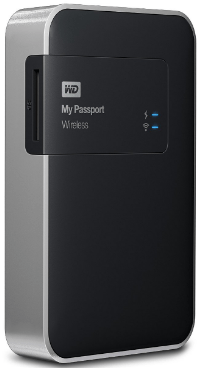 Western Digital (WD) My Book comes with 2TB of storage, USB 2.0 and USB 3.0 support with hardware encryption and password protection along with 4 LED lights to show the amount of storage available. With great data transfer speed, you can store up to 400,000 pictures and 500,000 songs within seconds. 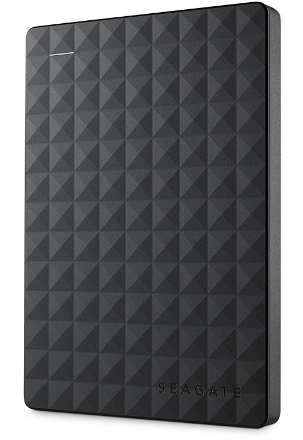 This 2TB External Hard Drive is equipped with many great features, and that increases the cost. It may be costly for many of us, but it is the real value of money. Like no other, Verbatim Store ‘n’ Save comes with 7 years of extended warranty to stand ahead of the competition. What’s more, it has ventilation blocks to keep the hard drive cool over the long run. When it is in use, make sure not to block the ventilation blocks. It is the most energy efficient hard drive in the market because it sleeps when it remains idle for the specific duration of time. When it comes to 2TB External Hard Disks in India, it is the real deal. 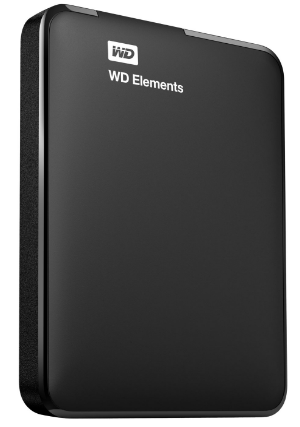 Here’s another 2TB Portable External Hard Disk in India from the house of Western Digital. It has next generation security and backup features. Weighs just 0.5 lbs, it is one of the very light-weight hard drives. Western Digital has been the renowned name for offering the best products as I talked earlier. Supporting Windows and Mac, WD My Passport Ultra is designed after 7 years of performance improvement and extensive research. Being under 10,000 rupees, it is a very affordable hard drive, if you are looking for External Hard Disk of 2TB storage in India in pocket-friendly range. Seagate is one of the reputed and respected external hard drive makers on the planet. Seagate is also one of the top 10 brands with huge experience in external storage device manufacturing. 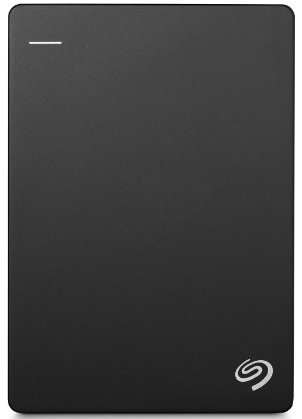 Seagate Backup Plus is the Best 2TB External Hard Disk in India which provides ample amount of storage. It is a great backup solution, and it comes with sleek, classy design which looks literally very appealing. It features 3.5” solid desktop grade which takes more power than USB port. But it gives high transfer rate with the compatibility of USB 3.0. 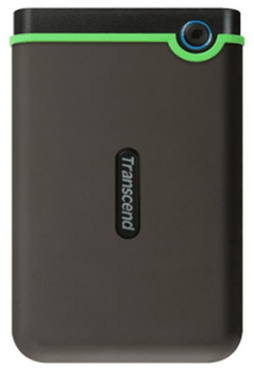 Transcend Store Jet 25M3 is a 2TB Portable External Hard Disk in India powered by military grade shock resistance. This shock proof HDD supports Mac and Windows operating systems. With 5400 RPM, the transfer rate is up to 480 MB/s via USB 2.0 and 5 GB/s via USB 3.0. The one-touch data backup is another USP of it. It weighs only 216g and measuring 129.5 x 82.4 x 20.4 mm. Transcend Store Jet 25M3 Hard Drive has 3 years of original manufacturer’s warranty. 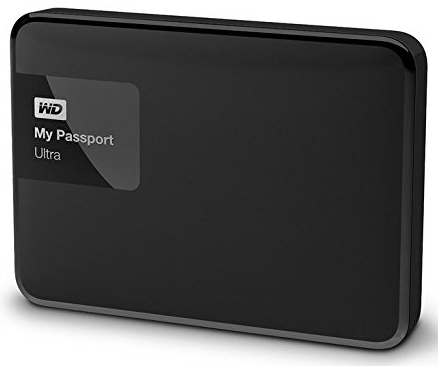 WD Elements USB3.0 Portable Storage drive comes with high capacity storage and lightning fast transfer rates with universal connectivity. It also comes with WD SmartWare Pro Automatic free trial. 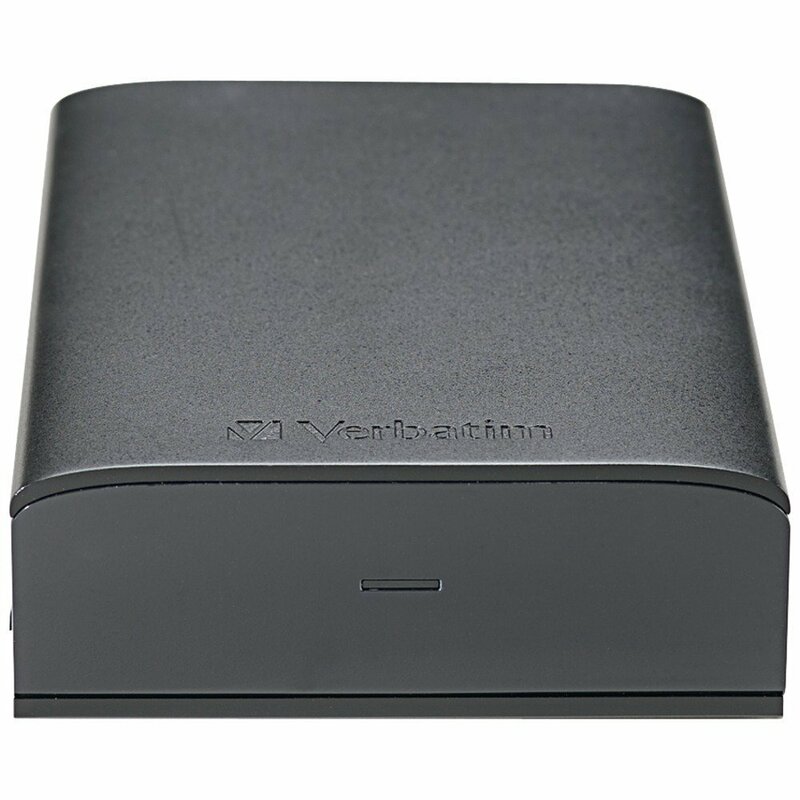 It is compatible with both USB 2.0 and USB 3.0 to transfer files with maximum performance. The hard drive comes with the lightweight design, high capacity, and improved PC performance. Your computer is vulnerable to slow down when internal storage is nearly full. If you don’t want to delete files but need to free up hard disk space, WD Elements is your best bet to get your PC running again. You can shift some important data to this 2TB External Hard Drive, and free up space on internal hard disk. Western Digital is known to build hard drives that are shock resistance, durable, and reliable. The brand adds style and protection with all-metal, robust enclosure. 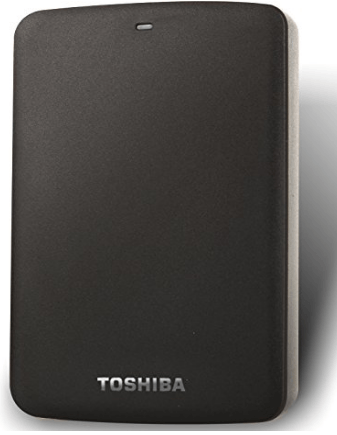 The SuperSpeed USB 3.0 transfers files quickly and stores data on Toshiba Canvio Basics external drive. This HDD needs no software installation and is compatible with Windows. Storing all of your favorite files at one place has never been so easier. Whether on the go or at your desk, this timeless device is your best bet. You can also connect the older device with USB 2.0. The Seagate Expansion 2TB Portable hard drive is one of the Best 2TB Portable External Hard Disks in India to carry data on the go. Add more storage to your PC quickly and take large data wherever you go. The setup is simple yet straightforward. All you need to connect it to your system through USB cable. So, you don’t need any other power supply. It can be detected automatically by Windows. It doesn’t need any software installation for configuration. All you need to copy/paste or drag & drop files. The SuperSpeed USB 3.0 port gives lightning fast data transfer speeds. It is also compatible with USB 2.0. 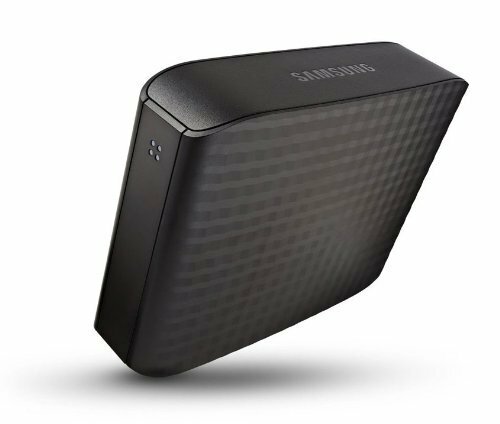 A list of best external hard drives cannot complete without adding Samsung to it. 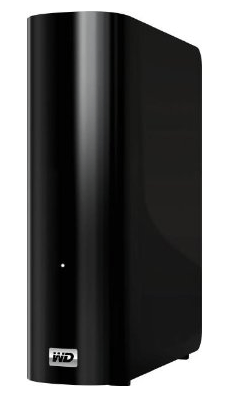 The largest electronics maker, Samsung offers D3 Station External hard drive which also comes in 4TB and 6TB models. The device also lets you change storage settings like what kind of file you want to store and when to backup your data. So, it backups automatically without worrying about performing the backup manually. Due to its feature, it is a bit costly but the real value of money. This pocket-sized HDD has the storage capacity of 2TB. It features pre-loaded Data Transfer Accelerator software for Windows, and USB 3.0 interface to provide faster data transfer rate. Finished in silver or black brushed steel, it is both stylish and compact in design. Along with computers, it is also compatible with PlayStation 3 console and Sony BluRay Disc Players. Another best thing is that it comes with password protection and AES 256-bit data encryption to strictly avoid unauthorized access to your data. It is one of the Best 2TB Portable External Hard Disks available in India that come with pre-loaded software to schedule automatic data backup. In the age of computers and smartphones, we store most of our data digitally which increases the need for more storage space. When we buy a laptop or Desktop Computer, we do get internal Hard Disk which can be of 500 GB or 1TB, or more. Moreover, later at times you still need some more storage. That’s where portable external hard disk drives come into use which you can just plug into your computer your laptop just like Pen drives and use it. I wrote a blog post last year about the best External Hard Disk Drives available in India, but now I thought to write more on it in categories of 1TB External HDD and 2TB External HDD because many of the users need a list of HDD of particular space. 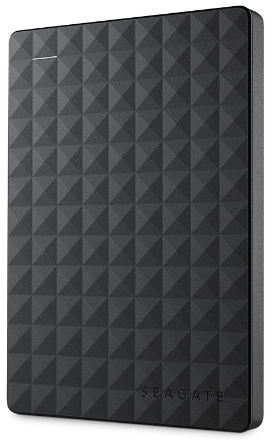 Therefore, I tried my best to list the best 1TB external hard disk drives in India. Such lists are always useful because in this competitive age there are so many brands making the same products which confuse us to choose the best one for us. So, without further ado, let’s have a look on the list. Lenovo is one of the most trustworthy brands when it comes to laptops and accessories. Lenovo has made its brand strong for affordable laptops, and now it’s time for them to do the same in the accessories department. 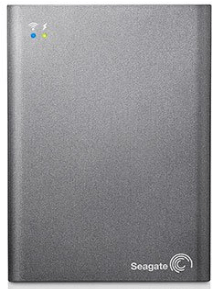 Lenovo 1 TB External Hard Drive is one of the cheapest 1 TB Hard Drives available for sale in India. It offers connectivity via USB 3.0 which is nearly 10 times faster than your regular USB 2.0 which means you can get up to 500 MBPS of transfer speed depending on your system. If you connect it to a USB 2.0 port, you can easily get transfer speeds of 20-25 MBPS whereas if connected to a USB 3.0 Port; it will definitely give you speeds of more than 100 MBPS, which is just insane. Lenovo covers this hard drive with a one-year limited warranty which is great considering the price on which it is being sold. 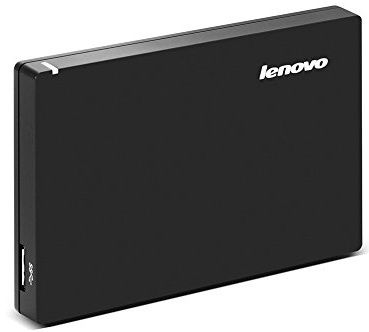 Another budget hard disk from Lenovo is the F309 available under 5000 rupees only. This one also comes with 3.0 USB which promises to give you great speeds while transferring files. The f309 is far much better build than the first one on our list as this one is build out of metal which gives it much better look than the ones made out of plastic. Weighing at just 209 grams makes it one of the most moderately weighed hard disks. You can use this one with the Mac operating system as well as Windows operating system which makes it one of the Best 1TB External hard Disks in India. Toshiba once was a great company as its laptops were ruling the markets a few years back. But, as the time passed, things went south for the company, and their market share became negligible because of the competition that they faced by their rivals. 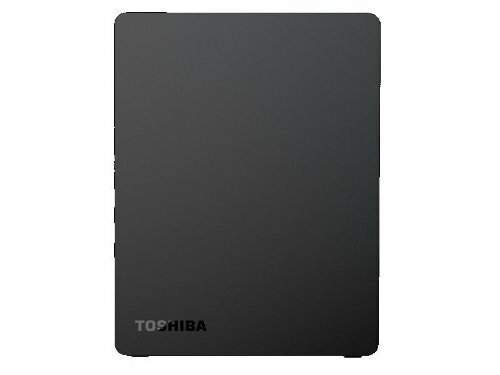 Well, they still are doing business, and you can get the same quality and assurance from the company if you decide to go for the Toshiba Canvio Basics external hard disk. Powered by a 3.0 USB and costing less than 5,000 rupees makes it one of the most selling hard disks online. 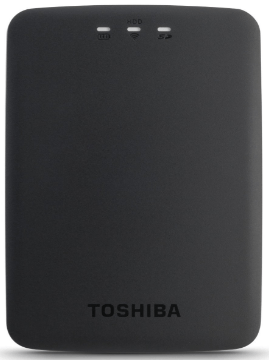 Toshiba offers a warranty of 1 year on the Canvio basics, but you will be amazed to read the reviews that the hard drive will definitely last much longer than that. The hard disk will work seamlessly on Windows operating system, but if you want to use it for Macbook, you will have to reformat it to get going. 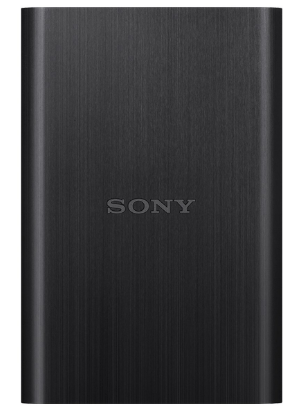 Since we are talking about the best 1TB External Hard Disks, we cannot skip this one from the house of Sony. Sony is particularly known for its musical equipment primarily, but it does manufacture a long range of computer related products as well. You won’t be surprised to know that they make best in industry hard disk drives as well. 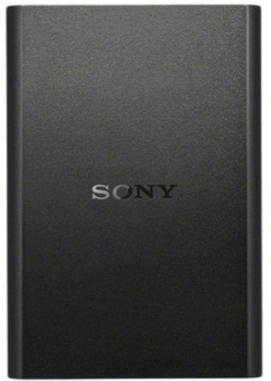 Sony HD-B1 is one of the best 1TB Hard Disks under 5000 Rupees available for to buy. The price is not its only unique selling point as this hard disk looks superb in the black color and its metal built feels premium as well. Sony has fitted it with a USB 3.0 port which will let you transfer data as mesmerizing speed as it is the fastest port that we have seen till date. Amazingly, Sony HD B1 also comes with a 3-year warranty which makes it better than its competitors as others offered just a 1-year warranty. 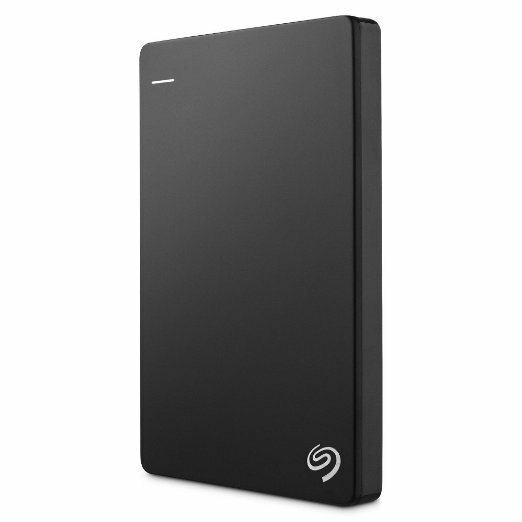 Seagate is one of the most renowned names when it comes to portable external hard disk in India. Seagate has always been the first choice for most of the users, and it is not so hard to see why as it comes with USB 3.0 like others which offers speed up to 10 times faster than the old USB 2.0. What makes this external hard drive a great value for money is that it is not only compatible with Windows or Mac OS but also with Xbox which means you can connect this hard disk to the Xbox and upload games using the high-speed USB 3.0 and that’s it; no need to worry more about space for playing high-quality games. 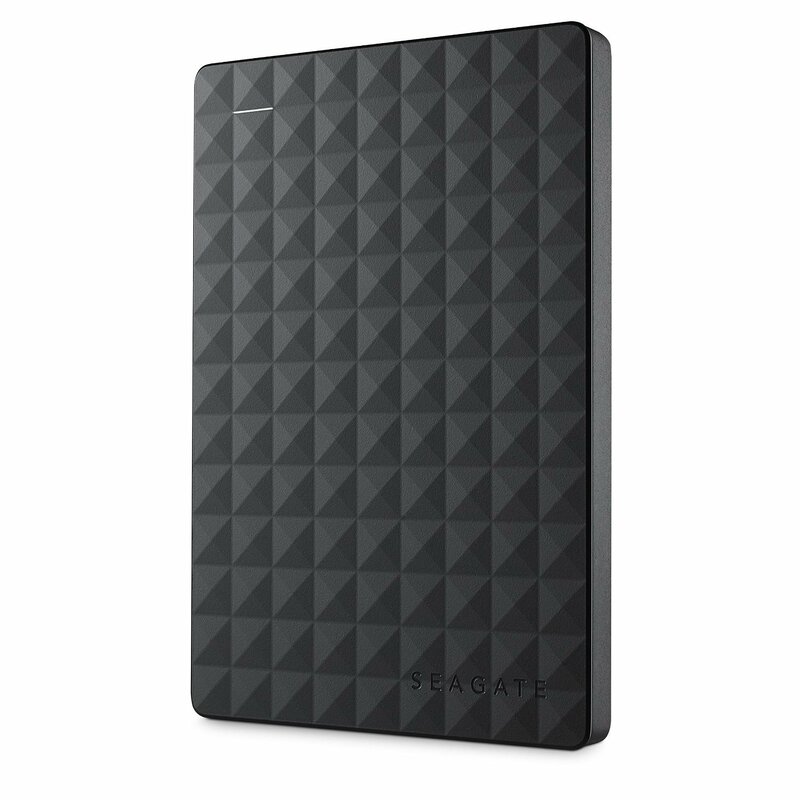 Seagate has priced under 5000 Rupees which makes it the next best external 1 TB hard disk in this price range. This may sound like the name of a fax machine, but it is the affordable hard drive from HP’s factory. 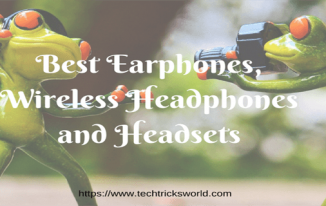 HP manufactures some great quality products and has a huge market share and goodwill when it comes to products like laptops and its accessories. 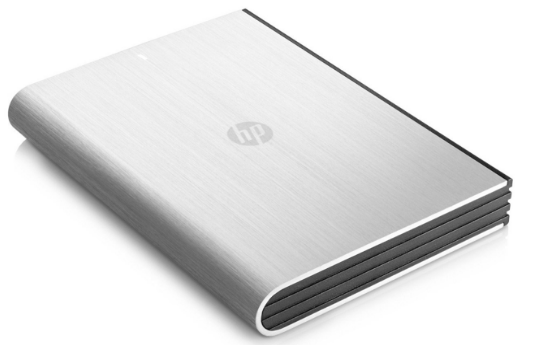 Well, HP’s quality can be seen in the K6A93AA as this 1TB external hard disk is wrapped in brushed aluminum which not only gives it a great look but gives it sturdiness as well. You will get to play around using its USB 3.0 which will work like a dream in terms of transferring data. 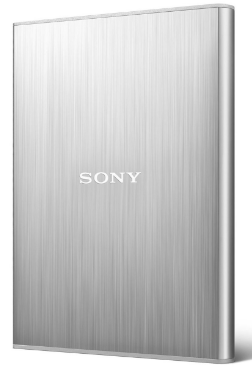 Sony makes one of the best looking products, and this can be seen in the Sony HD-SL1 external HDD’s design. The SL1 comes with a few tricks than just being a 1TB USB 3.0 Hard Disk as this one would let you set a password for your content so if in case if your SL1 gets stolen, your data will not be seen by someone else. You can even set a password for some part of the hard disk and let the other half unprotected so that you can connect it to someone else’s desktop or laptop. The security features in the SL1 makes it one of the best portable external hard disk 1 TB in India. We have already included the Canvio from Toshiba, and you probably might be wondering why it is there again. Well, this one is a wireless hard disk as it allows you to connect your smartphone or laptop wirelessly. All you need to do is download the application ‘Toshiba HDD’ on your smartphone and log in to the application. It will directly connect you to the hard disk, and that is it. You will be able to see your files and can even import and export them using the same application, and you can even insert your SD card into the hard drive. Aerocast offers battery backup of up to 5 hours and is priced under 10,000 Indian Rupees. Seagate is the king of the market, and this one is no exception as this is one of the best 1TB portable external hard disks in India. Seagate Wireless Plus, as the name suggests lets you browse through your files wirelessly as well as allows you to connect through USB 3.0. The great thing about Seagate Wireless Plus is that it allows you to connect up to 3 devices at a time and offers nearly 10 hours of battery backup on a single charge. 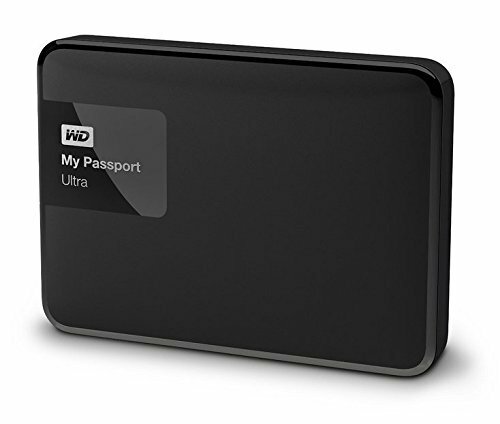 WD is one of the most renowned brands when it comes to Best 1TB External Hard Disks, and they surely have delivered in the wireless version of the famous My Passport series. Priced under 12000 rupees range, it can be said it is a lot for an external hard disk of 1TB at this Price, but if we look at the features, then it definitely justifies its cost. You can easily pop in an SD card to access your photos wirelessly and at the same time connect your Android, Windows, Mac OS or iOS smartphone to the hard disk. WD allows you to connect up to 4 devices at a time which is great. 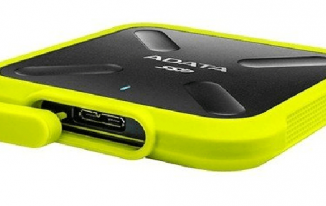 This was my list of top 30 best portable external hard disk drives in India. I have noticed the people who are new to using External HDD; have a lot of questions regarding this. Therefore, I am adding 4 FAQs with their answers below that would surely help you when you got your first External HDD. 1. How to format an external hard drive on Windows? You don’t need to think it as a big task because you can just format the external HDD just like you format your pen drives. Go to My Computer, right click on the external HDD icon, and choose format, there will come a pop-up, select the options as asked. The important one is the File system. NTFS is Windows default which you should go with if you want to use your external HDD with Windows only. If you want to use it both for Windows and Mac, select exFAT. 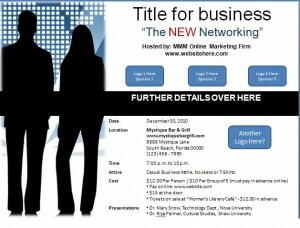 Click on Start; it will complete the format in a while. You can use an alternate way of formatting as well. Right click on My Computer on your desktop, Click on Manage, and then click on Disk Management. You will see the list of drives there. Click on external HDD icon, and click on Format. Choose the File system, and start the format process. 2. How to partition an external hard drive on Windows? This is again a simple thing to do. Right Click on My Computer => Manage => Disk Management => Right Click on External HDD icon => Shrink. 3. 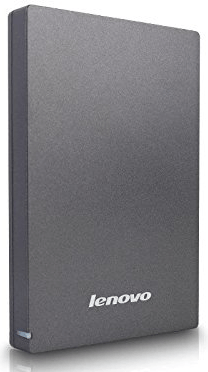 What is the best External HDD? This question’s answer you find from the list above. On a personal note, I love to use WD’s external hard drives as they work quite well. I never had any problem using it. 4. How to Make an External Hard Drive Bootable? The procedure of making a pen drive or external HDD bootable is same, and it can be done in easy steps. Below is a video for better understanding of making your external HDD bootable in less than 2 minutes. Note: Make sure you have no important data on your external HDD. if it has the data, save them somewhere else before starting the process of making it bootable. So the list Best portable external hard drive in India ends this way, with some of the great feature hard drives. We have seen the capacity range of 1 Terabyte hard drive to 4 Terabyte hard drives. For some, you might feel little over budget but after paying that much you can be pretty sure about the security and safety of your data with enhanced performance. So make your choice wisely in accordance with what suits you the best on various performance factors and pricing. Share your views and feedback in comments. Disclaimer: This blog post has product images that are taken from the respective product pages of Amazon.in, and affiliate links are included. It’s just an awesome post to choose the best one at a place where you described about all in a simple way. Prakash Kumar Nirala recently posted…Facebook Page पर 5000 Likes Free में कैसे पायें ? Thanks for checking my post Prakash. I bought Samsung 2 month ago from snapdeal but sometime it does not work. May be my product was delivered as it is. Amazing post! I would say. Keeping data safe is important for bloggers and techy person. I used to pen drive to keep data safe but it wasn’t enough and that’s why I wanted to buy an external hard disk. But, I was confused to which companies’ hard disk I should buy. After reading this post my doubt is clear. It is amazing how many there are to choose from. I do have 2 portable hard drives myself because of all the data I keep. Videos and so much more take a lot of space so an external hard drive is necessary for my business. I admit I have never chosen one myself…I left that up to David to do because when I was browsing I didn’t have something like this article that had information all under one roof. Thank you so much for liking my post, Donna. Working more on the content to offer good value to my readers. I am happy that you found it useful. it’s an amazing list. You have done a great job. I am having an external hard drive of 250 GB which is too less. So was finding a good external hard drive to buy. But thanks to you for this amazing post. HI, Good and informative for photographer like me who need such external storing ports. I have always been buying Seagate and have 5 or six of the 1TB USB model And two 2TB extension type which have USB and needs power to get on. I bought this since i was advised its better to keep my photos safe. But recently a friend of mine told me seagate has caused data loss to many. So can you please advise if it is true and mine all being seagate has caused me to panic. Seagate is a good brand indeed but as you know there is no guarantee of technical things whether they cause problem or don’t cause any issue. Seagate has been working well for me for years, but you cannot be sure if it will work for you too. I would advise you to keep your important data backed up at 2-3 places including cloud as well so that even one storage fails you won’t loose your data. You can consider listing Transcend USB 3.0 hard disk. I’m using it & working absolutely flawless. Actually, i was planning on purchase Seagate but after reading your post I will definitely go with WD because of best data backup service. Thank you for sharing this lost and it clear my doubts. i was very confused about these hard disks I can’t find the right one for me, but now I can buy the perfect hard disk for my pc thanks for this useful information. Cell Phone Specials: Can You Hear Me Now?